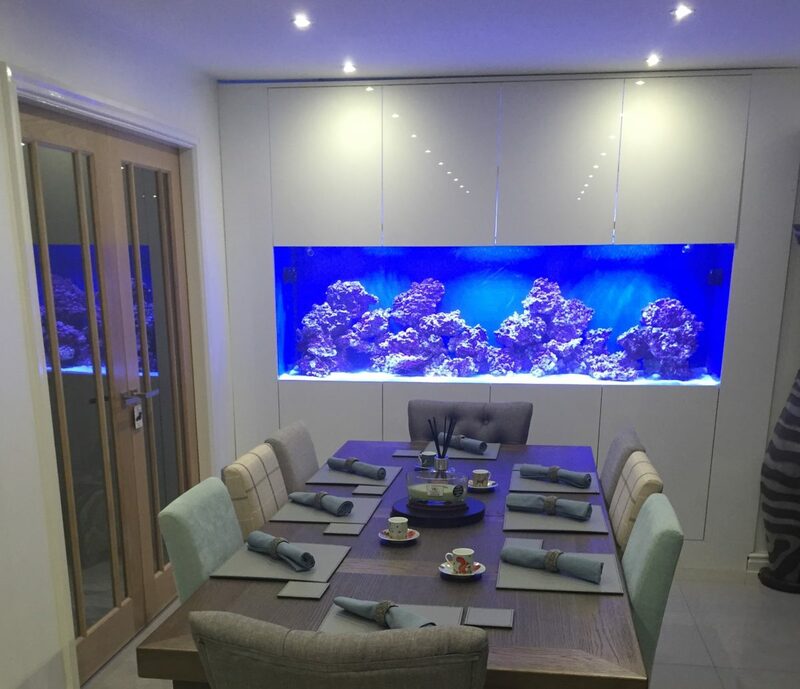 A recently completed built in wall aquarium installed in Glossop, Derbyshire. To ensure its continued success this client has chosen to employ our aquarium maintenance service in Manchester. This set up utilises a sump based filtration system including a water top up system. This automatically replaces water lost through evaporation. The tank has powerful LED lighting and circulation pumps, all controlled via IPad. 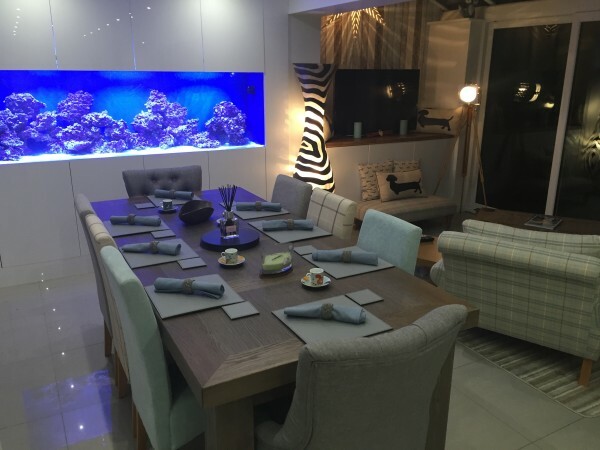 Twin Aquarium Installation in Altrincham, Cheshire.